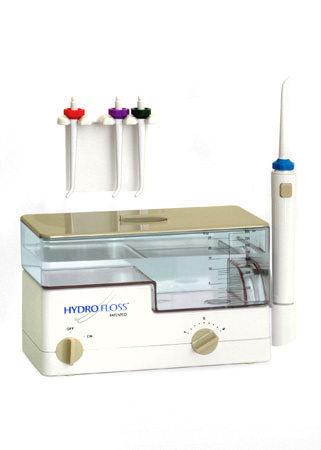 Your dentist or your friend told you to get a Hydro Floss. And you have been thinking that it probably is a good idea to get one. But, where can you get a HydroFloss? There are two main places you can get one. 1. This website - And Support Small Business and get some extra goodies as described on this page. 2. Amazon - Support a major corporation that you are used to buying from. 1. Someone here knows about this product and can tell you how to get the most out of it. There is no one on Amazon you can call for help. But I have used this product for the last 13 years or so (at the time I wrote this) and I know how to get the best results and I can tell you about it. I'm also the author of the book: What You Should Know About Gum Disease. There might be some information I can help you with. When you purchase a HydroFloss from this site, you can get a free consultation with me. Get your questions answered and learn the secrets of how to get the best results from your HydroFloss as well as how to make it last longer. That's what's in it for you when you purchase from this site over a big corporation that doesn't have the expertise to guide you on one of millions of products they carry.